The site of the new School of Construction is significantly constrained by its shape, poor ground conditions and immediate adjacency to State Highway. 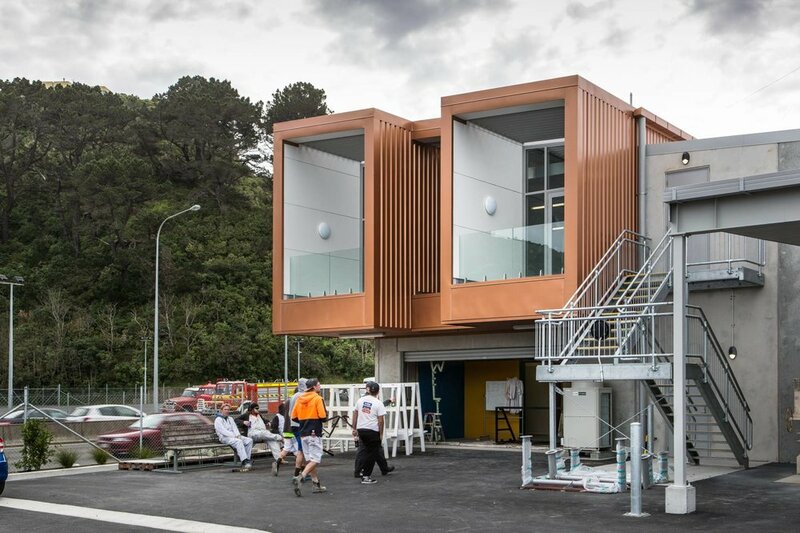 Hutt City Council also required that the resulting building become an iconic feature gateway. 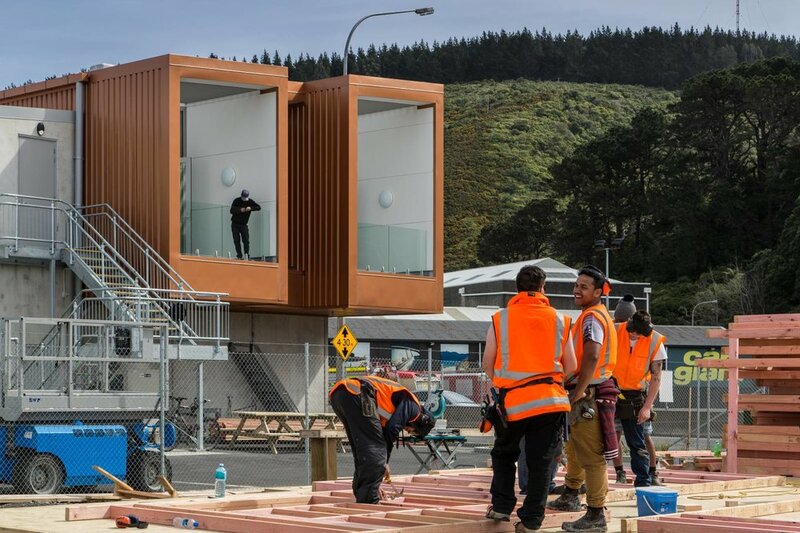 The "iconic" look of the response was achieved through simple steel-clad box forms, which reflect the containers used by the house building crews in the adjacent yard, and use of appropriate materials without adding complexity to the main building design. 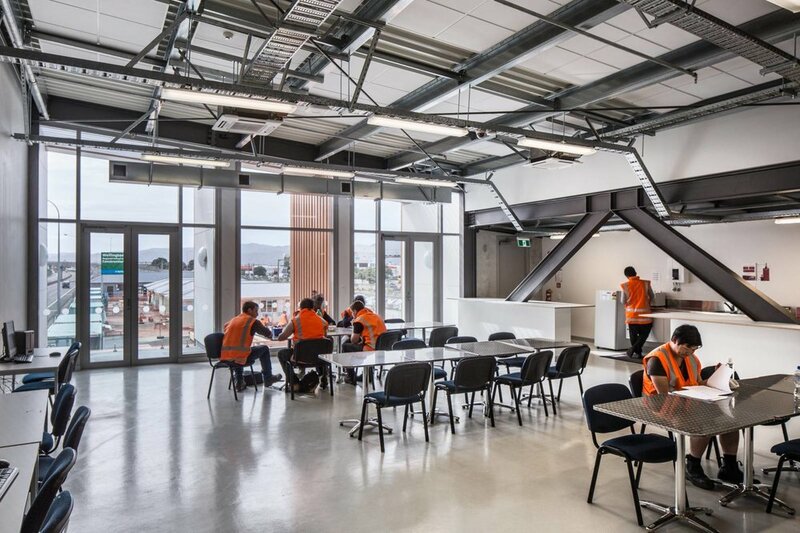 The complex provides students with ample space to work on real life construction projects as well as social spaces in the student hub area and staff offices.